Experienced staff, led by our PGA Professional Jonathan Lamb are always on hand to help with your requirements and you can be assured a friendly welcome. Jonathan is fully P.G.A. qualified with a wealth of experience in teaching golfers of all abilities. 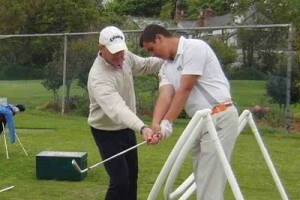 A former Captain of the Cornwall PGA, he is passionate about coaching. Jonathan has a proven track record, teaching at every level all over the world and offers a wide range of tuition options. He has worked alongside some of the best coaches in the world particularly during his 12 year tenure as Senior Teaching Professional at Woburn Golf Club in Buckinghamshire and sites the Duke of Bedford, Chris Evans, Oscar winning actor Richard Dreyfuss and Wham’s Andrew Ridgley as his most familiar clients. Previously Jonathan also worked in Kenya, East Africa at Karen Golf & Country Club in Nairobi. Jonathan particularly enjoys coaching the junior section at Tehidy, progressing and encouraging the children with their golf whatever their ability. All aspects of the game can be covered at Tehidy, including the full swing, short game and course management. Jonathan always works to a target with his clients and is sympathetic to their requests and swing problems. The latest digital video analysis is now available along with a practice ground & short game area makes Tehidy the perfect venue to improve your game. A comprehensive range of demo clubs are available to try on our practice ground & the new simulator room. Custom Fitting and Gap Testing opportunities are available; please call in advance to book. Jonathan has a well-stocked shop offering a wide range of equipment and clothing from major manufacturers including Callaway, Titleist, Ping, Glenmuir, Footjoy, Skechers, Powakaddy, Motocaddy Bolle and Sun Mountain. Other brands are available through Jonathan’s Foremost Golf ‘Click n’Collect’ account, prices upon request. A stylish range of ladies clothing with popular brands are also available in store from Daily Sport, Green Lamb, Glenmuir, Catmandoo, Surprize Shop and Footjoy for the ladies to peruse and purchase. We regularly coordinate brand demonstration days. 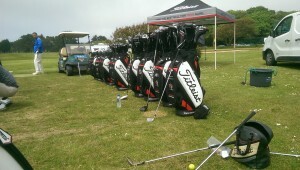 Please contact the Shop to find out when the next demo day is scheduled for.